Swanage & Wareham had a short trip away to Blandford last Saturday and after an early hiccup it was a case of how many points could Swans score. After two minutes, Swans were on the scoreboard as flank forward Kirk Jones powered over the line. Steve Woolley converted(nil – 7pts) A missed penalty to Blandford was restored when a ball was kicked through the Swans’ defence, hacked on again, and Blandford managed a score half way out, after 12 minutes. 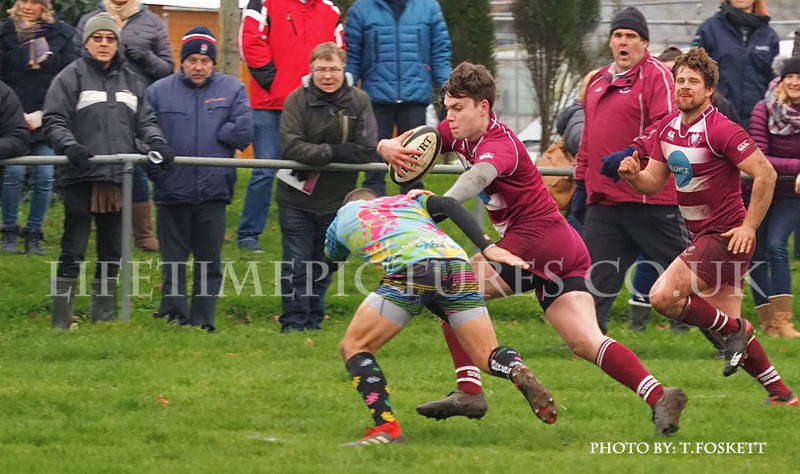 This was converted(7pts – 7pts).Three minutes later Swans went ahead again with a converted try by winger Harry Spyers. Swans no.8 Joe Desmond was next to score a try, followed by second row Dan Collins after 25 minute(7pts – 24 pts) for the bonus point try. Fly half Steve Woolley was next to score 5 minutes later which he converted himself, before Swans two centres Barnaby Knibb and Matt Roberts both added converted tries before the interval which took the half time score to Blandford 7pts Swans 45pts. The carnage continued early in the second half as immediately from the kick off Joe Desmond went over the try line. (7pts – 52pts). Steve Woolley added his second try after 45 minutes, and replacement wing forward Trevor Ford scored after 52 minutes to give Swans a lead of 7pts – 66pts. Swans’ replacement winger Ice Matagugi who came on at half time was next on the scoresheet as he crossed the try line after 57 minutes out wide, On the hour mark, Steve Woolley added his hat trick of tries to bring Swans score to 76 pts. Matt Roberts was on hand after 64 minutes to score his second try of the game(7pts – 83pts), Ice Matagugi scored his second try of the game with ten minutes to go taking Swans score to 88pts and six minutes later Barnaby Knibb added his second try of the afternoon as Swans triumphed Blandford 7pts Swanage & Wareham 93pts. Swans team:-K. Barton, H.Spyers(I.Matagugi 40), M.Roberts, B.Knibb, L. Hardy, S.Woolley,C.Tomes N.Audley(S.Waterman 65), J.Scott, Z.Wyburgh, L.Smith, D.Collins, M. Seaton, K. Jones(T.Ford 40), J. Desmond. Swanage & Wareham 1st XV v. Oakmeadians​​Home​​2.15 p.m.
Swanage & Wareham 2nd XV v. Dinton​​​Away​​2.15 p.m.
Swanage & Wareham 3rd XV v. New Milton 3rd XV​​Away​​2.15 p.m.